Genuine leather dog harness is comfortable for your dog to walk in, made to last, and easy to use. 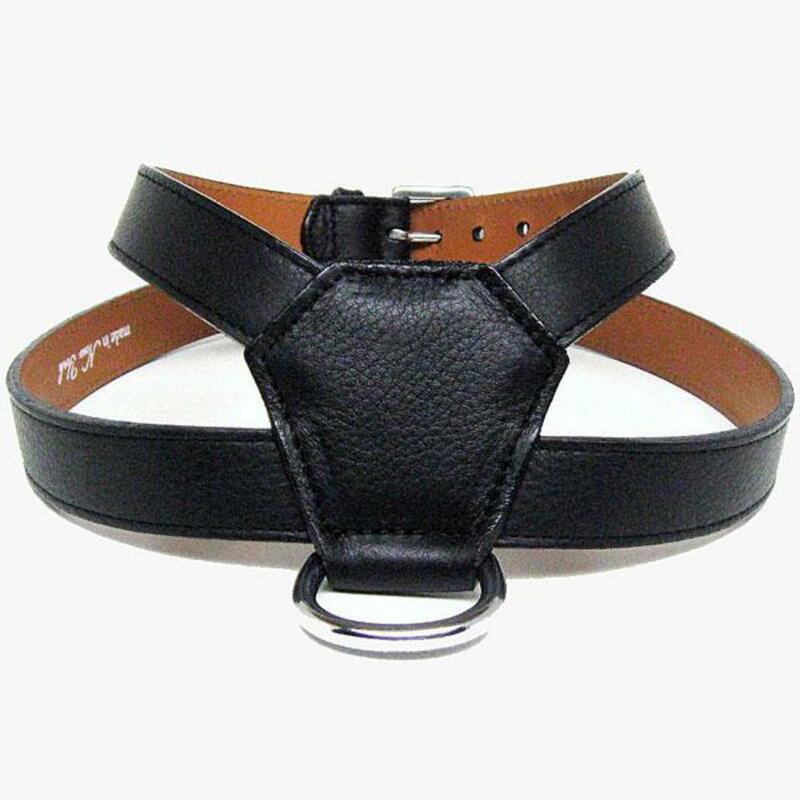 Simply close the buckle on the leather straps to fit your dog's neck and girth and know your dog will be secure. There is a Nickel D-ring that sits on your dog's back for lead attachment and a nickel O-Ring located by the neck buckle loop to attach ID tags. XXS, and XS have 4 holes (neck) and 5 holes (girth) and are 1/2" apart. S, M, L, XL have 5 holes (neck) and 5 holes (girth) and are 3/4" apart. Example - If your dog is a 10" neck and a 13" girth you would order the xs. 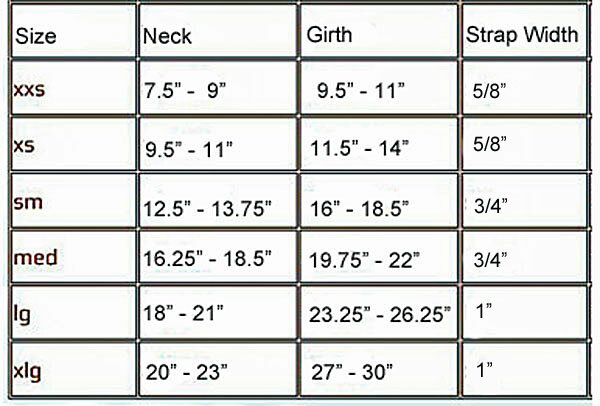 If your dog, for example, is a 10" neck and a 16" girth he doesn't match the sizes in the chart, please contact us and we can arrange for a custom size made just for your dog.